promo or office items on demand. Mugs, plaques, coasters & more. 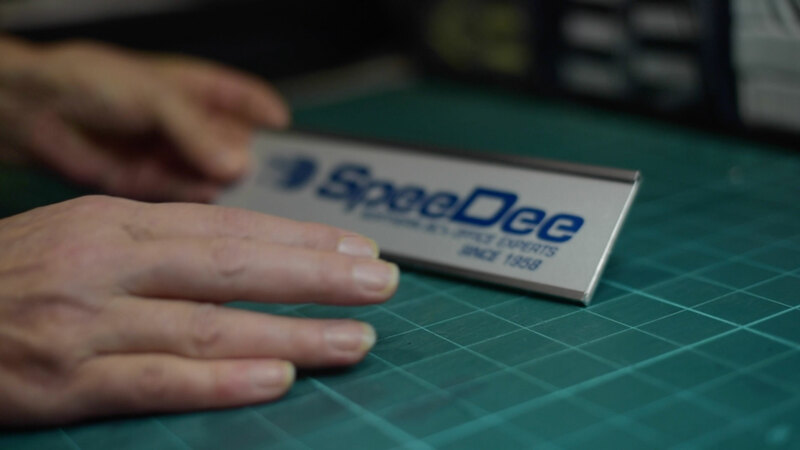 SpeeDee Printing has been around for over 50 years… in that time we learned a few more things than just printing. Here is what our shop can offer you and your business. 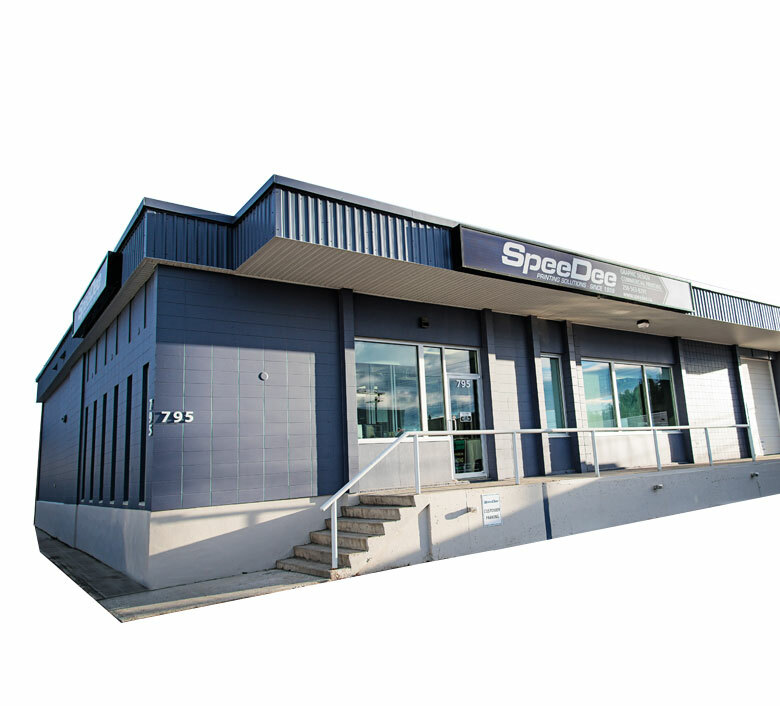 Our manufacturing print shop has been a foundation of Northern BC since 1958. We are home to offset presses that can mass produce quickly & efficiently. We have many unique finishing machines that can stitch, punch, foil, die cut and customize almost any project. We build a brand that will build your business. Our contemporary graphic design fuelled by our talented designers, can refresh your marketable company. We pride ourselves in creating consistent identity standards while remaining experts in daily business forms that will make your job easier. Our Graphic Design team has designed your company presence. Now it’s time to design your company some presents! 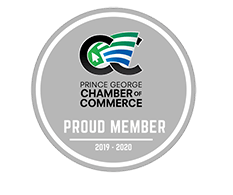 The best part of expanding your brand is by circulating it through the community with promotional items such as t-shirts, travel mugs, duffle bags and more! Keep up to date regarding our portfolio, news, and promotions on a daily basis! Have an idea? Let us help you bring it to life! Your business partner since 1958.